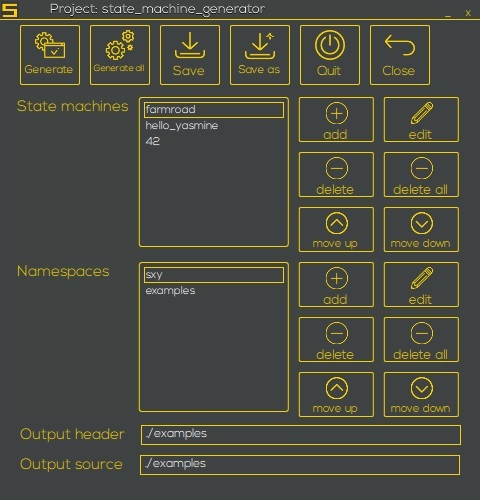 In order to make state machine generation easier to handle we provide the tool ygen_ui. For details refer to the documentation. ygen_ui is a commercial tool and requires you to obtain a license.